Behind every cake is a story…. We had such a great time chatting with Luisa. She is so humble and talented! She got into the business of baking by watching TLC and Food Network’s Cake shows. She said “I can do that” and started designing cakes for her family and friends. At their parties, their guests loved her cakes and orders started coming in and before you know it, word of mouth just took care of the rest! She considers herself an artist more than a baker. When we saw her cakes, we were amazed by the level of detail and the way Luisa remembered each of her client’s stories. So heartfelt and fascinating…. 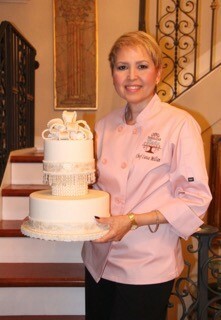 Luisa Millan established Fabulous Cake Couture in 2010, a creative, custom cake company serving all of South Florida. Her background in architecture, design and passion for baking makes the perfect combination for translating form, structure and color into a delicious piece of edible art. She continues to push the boundaries with every new cake design and takes the opportunity to try different techniques and flavor combinations to exceed expectations. All of her custom cakes and cupcakes are freshly baked from quality ingredients and delicious flavor combinations to please every palette. 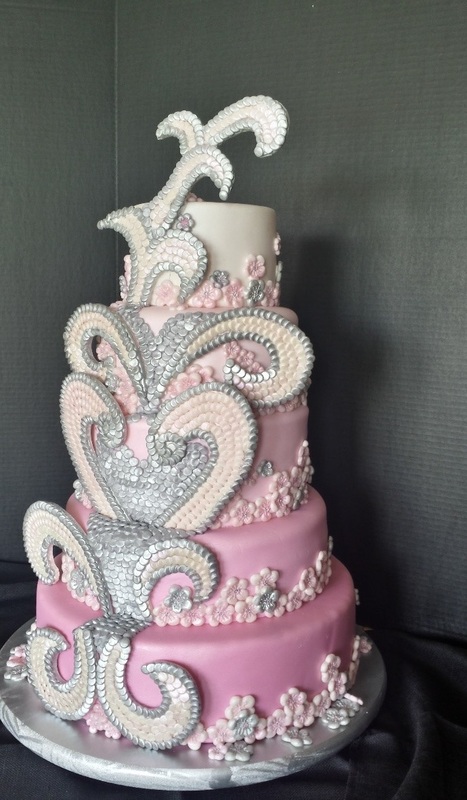 Read on further to explore Luisa’s world as a Baker and check out her cakes below! Congratulations Luisa Millan on being our Chef of the Month for September! My business is called Fabulous Cake Couture and I am based out of Miramar, Florida and am looking to open a specialty cake retail store in the near future. For baking, measuring cups is essential as all recipes are accurately measured in order to achieve the same consistency and flavors in every baked good. For decorating, a pasta roller. This is my best friend as it helps me achieve even fondant thickness for my hand made flowers and other decorations. 4. What advice would you offer for aspiring pastry chefs/bakers? Learn the basics, techniques, etc. and then enhance your own. 5. What is one tip every pastry chef/baker should know and perfect? Don’t over work your dough. Be able to feel the consistency and be mindful of baking times. 6. What does a great cake look like to you? A great cake is one that reflects all of the recipient’s requests in flavor, design and structure. It has clean lines, great design, smooth surfaces and harmonious colors. 7. What trends as a baker do you see emerging in the near future? Cakes are becoming more mainstream to include vegan. When selecting a Chef Coat for my use, I look for comfort. A fabric that is breathable and not stiff and has an attractive feminine design. I prefer short sleeves as I do not like the fabric to disturb any part of my finished cake. I also look for one that has a low neckline and no buttons or other protruding ornaments that may leave a mark on my fondant finishes as I work covering my cakes. I prefer pastel colors and prints that camouflage spills and food markings. 9. What is your go-to chef outfit? Do you prefer coats, tees, pants, shorts, aprons, hats, etc? When I do cake shows and other trade shows, I prefer a Chef Coat that is feminine with light pastel colors and my company logo. For work, I prefer a short sleeve Chef Coat or tee with pants. 10. Favorite ingredient to work with? My favorite ingredient for baking is flavor extracts and for decorating, fondant. My favorite dessert city is Las Vegas. I was amazed at the variety and creativity of the pastry chefs at the various casinos. 12. Best Cake you have ever made? The best cake I have made so far was made for my uncle’s 75th birthday. There are two loves in my uncle’s life, his Dalmatian dog and dominoes. He lives in Key Largo, Florida and was having a surprise party there. It was a challenge for me to make a sturdy structure that would withstand the long travel as well as come up with a design that would incorporate both of his passions. The final design included a domino table with a map of Cuba (his native land) and surrounding islands, domino chips and his dog at the bottom of the table. The dog was made of rice crispy treats and fondant cover, all hand painted in edible ink. The cake made it safely to Key Largo and was a hit!! Here is a picture of the finished cake. 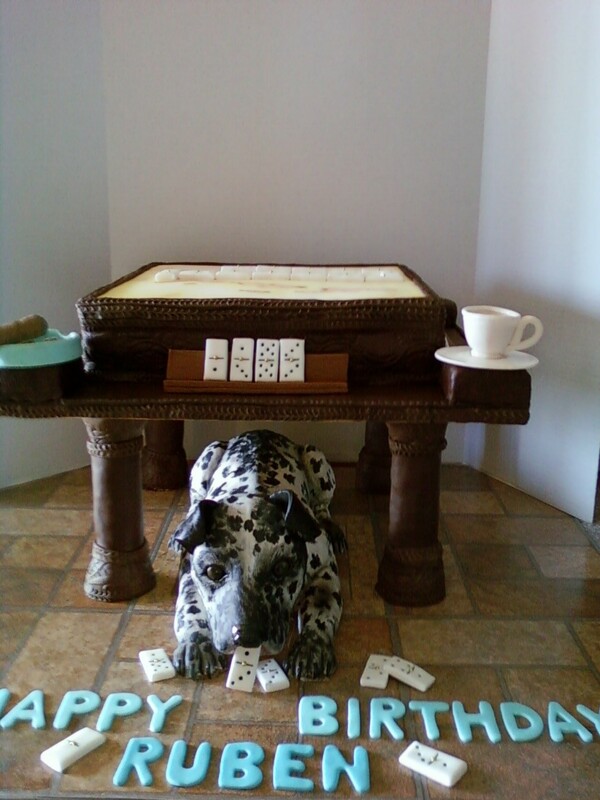 Luisa Millan Uncle’s 75th Birthday Cake representing his 2 loves – his pet dog, a Dalmatian and dominoes. 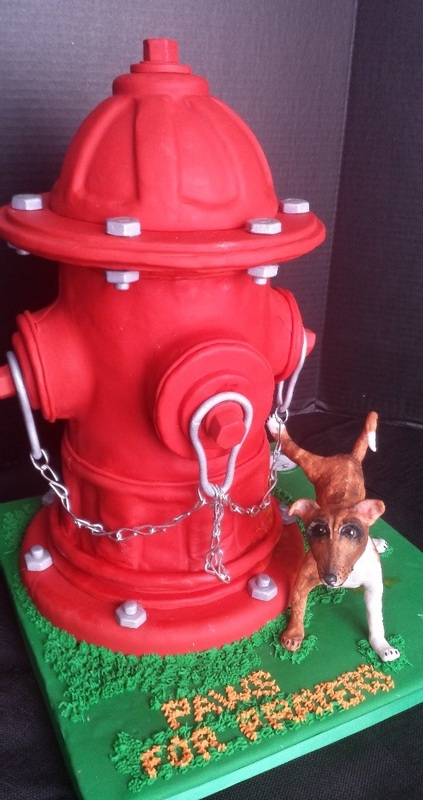 Luisa Millan donated a Dog Hydrant Cake to an event hosted by one of the Housewives of Miami and was auctioned for $400.